On the San Jose Mercury News website, searches right after the Hells Kitchen episode resulted in Lauren’s story (http://www.mercurynews.com/News/ci_25059319/Lauren-McCullough-dies-at-21;-Diablo-Valley-College-swimmer-had-Ewings-sarcoma) being pushed into the top 3 most viewed! Nice comments too. 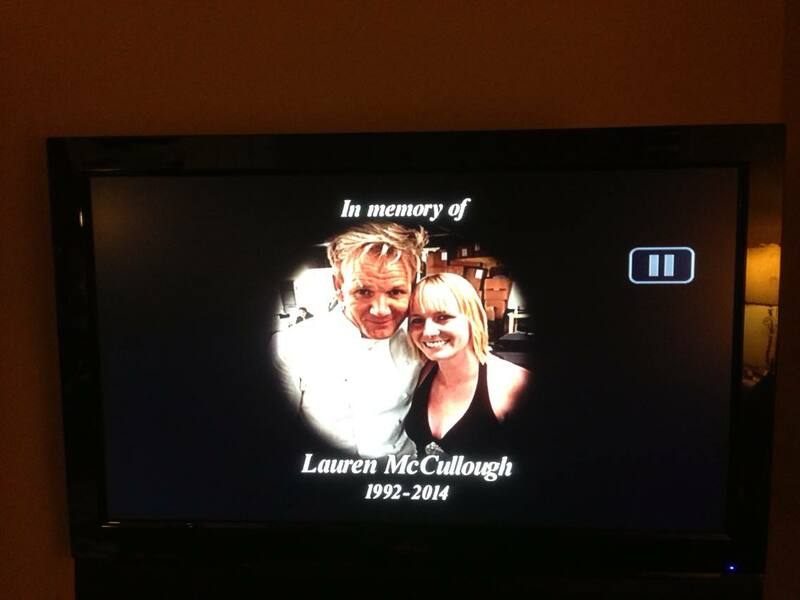 Lauren is absolutely BEAUTIFUL, as always, in this episode of “Hells Kitchen”! Really wish she could have seen it aired, but truly wish she was never on it.